Dimitri Payet labelled Antoine Griezmann as Atletico Madrid's "mister plus" as Marseille prepare to try to stop him in the Europa League final. Marseille face a daunting task in Wednesday's showpiece at the Groupama Stadium, with Diego Simeone's men the favourites to lift the trophy in Lyon, Griezmann a substantial reason for that status. Griezmann has 27 goals in 47 appearances this season, producing another brilliant campaign in which he has showcased the form that has made him one of Europe's hottest properties. He will be expected by many to light up put Marseille to the sword and Payet, his international team-mate with France, knows just how dangerous the forward is to their hopes, the pair having spearheaded France's run to the Euro 2016 final on home soil. "Grizou is their mister plus. 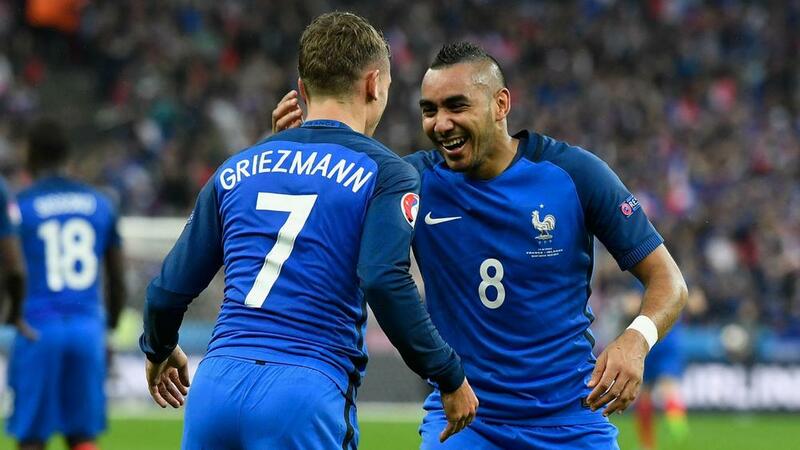 He scores goals and creates them," Payet told a media conference on Tuesday. "He's capable of making the difference at any given moment and we'll have to keep an eye on him the way you would on your milk if you were boiling it. Atletico have been known for defensive solidity under Diego Simeone but, given the Rojiblancos' quality going forward, Payet believes it is Marseille who may have to adopt a more industrious approach to prevail. "They have the experience but we've studied our opponents and we'll know how to take them on," he added. "We might not be able to play beautiful football throughout but the main thing is to score one more goal than them." Though the main prize for winning the Europa League is a place in next season's Champions League, Marseille coach Rudi Garcia is still keen to chase the history of becoming the first French side to lift the trophy. He said: "Twenty-five years ago Marseille became the first French club to win the Champions League and we have another chance to be first forever by becoming the first French club to win the Europa League. It will be very difficult though. "Maybe the best thing for us is that we're taking them on in a single match. Anything is possible in football in a one-off game."